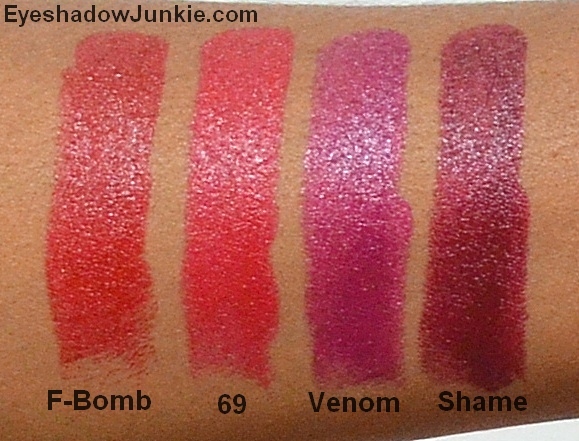 Urban Decay has reformulated and repackaged its lipsticks. I can’t compare the old formula with the new as I never tried them. The old packaging with its spiked top was impractical, but the new packaging is quite sleek. The formula is supposed to be creamy, nourishing, long-lasting and hydrating. The new 22 shades are undeniably richly pigmented. You get intense color in single a pass. The creamy and hydrating claim is debatable. It isn’t a dry matte as there is a slight sheen to the finish, but it pulled my lips a bit when applying. The range is somewhat diverse, but I was a bit disappointed as Urban Decay offers more pale neutral shades than anything else. There is a shade for everyone, but it would’ve been nice if they offered darker neutral colors. The other irritant was the amount of product you get for the $22 price tag. 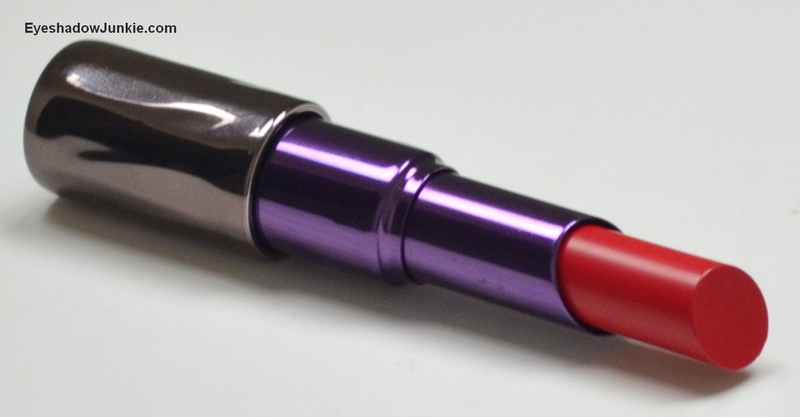 You only get 2.8g, which is a little skimpy seeing that most lipsticks offer at least 4g. F-Bomb is a classic deep red and neutral in tone. 69 is a bright pinky red. Venom is a bright berry purple. Shame is a deep, vampy, plum wine. These are available now at Sephora, Ulta, select Macy’s and UrbanDecay.com (offers exclusive shades).